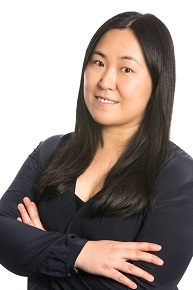 Emily Situ graduated from Federation University’s Master of Business Administration (MBA) degree in 2005 and has gone on to a highly successful career in marketing. She currently works as Branding Director for Overseas Markets at Country Garden, the largest property development company in China. In 2018, Emily returned to FedUni to accept the award of International Alumna of the Year. Before applying to FedUni, Emily worked as a Marketing Officer for a government organisation in Hong Kong. ‘I felt a need to study and strengthen my knowledge,’ she says, ‘and an MBA is a popular path to improving your management skills. Ballarat offered a completely new lifestyle to Emily. ‘I come from a big city in China so, at first, I was surprised at how quiet and peaceful the town was. I really had the time and space to concentrate on my studies. Back then, there were only 80,000 people living in Ballarat. In the building I worked in in Guangzhou, there were 30,000 people in and out of the offices every day. During her degree, Emily especially enjoyed the small class sizes, personalised learning and diversity of other students. ‘One thing that was new for me was that the course didn’t have a fixed group of classmates. Every subject had different students. The range of ages and nationalities surprised me at first, but it was wonderful to learn from everyone’s varied work and life experiences. The teachers were also very professional and approachable. I’m still in touch with some of them and ask them for advice in my career. Looking back, Emily says that her experience at FedUni changed her in two main ways. ‘It gave me more confidence in my work and made me more independent. The way of thinking I developed at Federation Business School really helped me to develop my career. The MBA enabled me to improve my strategic thinking and develop my management style. I learned how to open my mind and think outside the box, which is something I’d never really done. I returned to China more confident in my abilities and quickly found a job as Team Leader at a major PR agency.